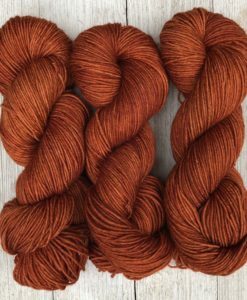 Boomer is a color way that I came up with as part of a dyer challenge on a Facebook group. The theme was reptiles, and I assigned a photo of a Mountain Boomer lizard. The is the result! Boomer is an aqua/teal color way with bright yellow, and added black speckles. This color way will most likely create some unique pooling.